1) We had a ton of rain last week. 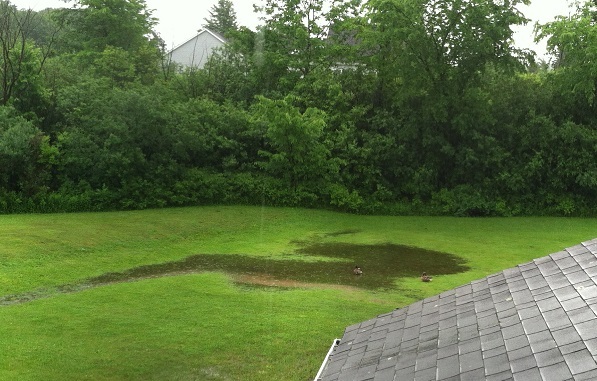 So much that the mallard couples that comes to visit us now and then decided to swim in the puddle in the side yard, rather than going all the way to the pond in the back yard. “All the way” is about 50 more feet. Got the idea, including the free printable “For the KING of our grill” tag, here. 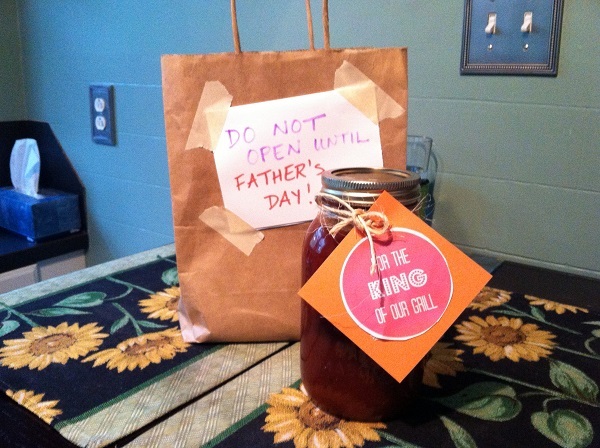 The sauce was so yummy that I went home and made some for my own dad! 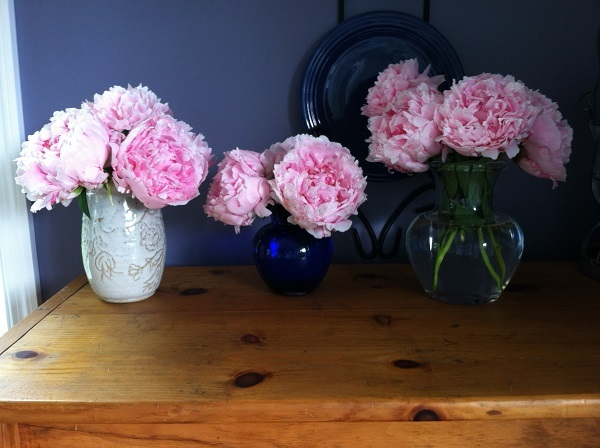 I just love, Love, LOVE peonies. I carried them as my wedding bouquet. They are kind of messy and kind of complex (kind of like me…Ha ha!) with all those fluffy, ruffle-y layers. And I love that they look so pretty now, but they will open up even more and have that wonderful surprising yellowy center. 4) My humongous knitting project is done and I’m on a starting-more-projects streak. I think this. And these. And maybe these. Stay tuned. 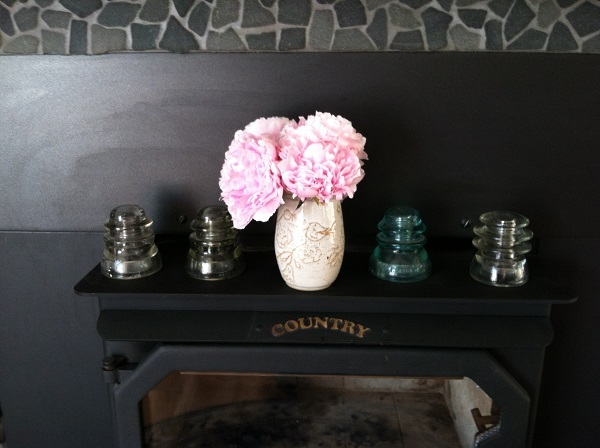 Posted in Uncategorized and tagged BBQ sauce, doodlebugs, knitting, mallard couple, peonies on June 17, 2014 by lizytish. 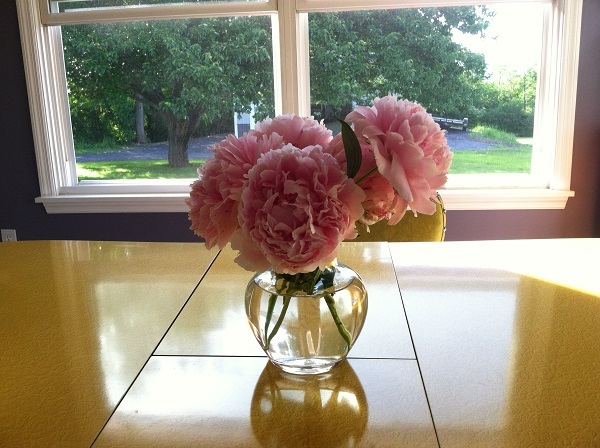 The peonies are beautiful. Love those ducks – I think it’s clever that they “discovered” a puddle. What a great Auntie you are to teach the Doodles to make gifts. Very cute packaging.